With the begining of the so-called, "Never Ending Tour" in 1988, Bob Dylan committed himself to talking his work as rock'n'roll's greatest songwriter to the stage on a consistent basis. No longer concerned with touring to promote a new album, Dylan would tour throughout the world regardless, playing a string of endless one-night stands. In doing so, Dylan not only followed in the tradition of his country, blues and R&B predecessors, he also promised to reformulate and re-interpret his art through performance. Playing a song was not about recreating a record. A song would live again, changing into a new or mutated form onstage. But as a solo artist, Dylan requires the need of backing musicians to complete his vision. And he has had some of the best over the years: the Grateful Dead, Tom Petty and the Heartbreakers, the Rolling Thunder Revue (including Roger McGuinn, Bobby Neuwirth and others) and perhaps the one most famous and closely linked with Dylan: the Band. With this endless touring, Dylan would often draft touring sidemen from the top session musicians. Over the years however, Dylan and this group endured frequent lineup changes and personnel shifts. 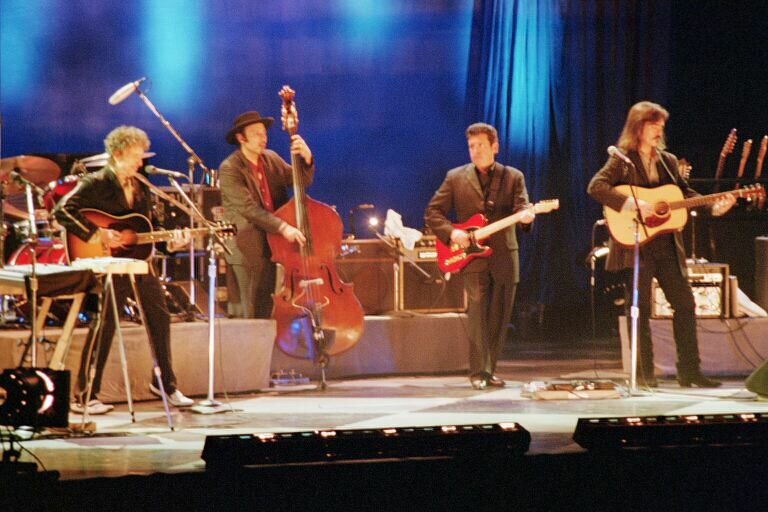 The results onstage were often a mixed bag, with the musicians' lacking a unity of mind and a band leader (Dylan) hesistant to give focused direction. By the middle of the '90s, Dylan began to regain his musical footing. He had also assembled a crew of musicians who with their talent and committment, transcended the role of faceless "musicians for rent" or hired hands, and were molded into expert accompianists and key contributors to Dylan's music. By the time Dylan returned to critical and popular favor in 1997 with Time Out Of Mind, Dylan's backing group was lauded as his best since Dylan worked with the Band in the '60s and '70s. This Web site is meant to recognize these musicians and their contributions.